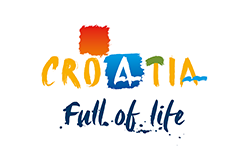 We are doing everything we can to connect Plitvička jezera and Trogir. The distance by road is , while the air distance is 160 km which is obviously lower. Plitvička jezera-Trogir is one of the most occupied journey in Croatia. It is very simple to plan your arrival in Trogir whenever it fits you, so this could be at the breakfast time, around noonday or after sunset. The bus from Plitvička jezera to Trogir leaves 2 times per day, but to be more clear-cut, first bus leaves at 10:55, while the last one leaves at 23:40. Ordinary travel extent is 00 minutes. Travel period and number of stops depends on transport operator and the selection of the road - the new highway, or the old road. The best one-way ticket is 120 HRK and the most expensive ticket is 133 HRK. We recommend, or, to be more specific, we advise you to check transport operator and type of the road before the ultimate purchase of bus tickets. Both bus stations are well equipped with new conveniences, such as: wardrobe, coffee shops and a kiosk. Additionally, Plitvička jezera main bus station, as well as Trogir bus station are positioned near the city center, so if you have a little more time before departure or after your arrival go visit the most precious places in the city and, please, do not forget to capture them with your camera or mobile phone. Along with large number of cafes, bus station has a wardrobe which gives you the opportunity to leave your suitcase or personal belongings and go for a walk to visit significant places and buildings situated close to bus station. For all the added information, like nearby internet cafe or the best place to eat, you can ask at the information desk of bus station. This is the place where you can ask about information and services and new discounts. We encourage you to walk and search for some fast food restaurants and bakeries where you can take something to eat or drink. Undoubtedly, if you land earlier to the Plitvička jezera Bus Station do not immediately sit down in the first cafe at the station and rest there. If you want to reach the landing-place the fastest as you can we encourage you to search for time travel before you get your ticket. Time travel commonly depends on the selection of the road and also on the number of bus stops which generally take about 15 minutes each. Plitvička jezera and Trogir share about . Bus stop gives you just enough time to stretch your legs, go to the toilet, drink coffee, eat or read newspapers and magazines. While travel you can enjoy fantastic views of the surrounding fields, forests and meadows. At the Trogir bus station you can purchase sandwiches, hamburgers, hot dogs and a bottle of your favorite beverage at nearest fast food restaurants, bakeries, shops and kiosks anytime during the day. Upon arriving in Trogir, leave baggage and personal belongings in the wardrobe and drink an espresso in one of the cafes, and yes, it would be good if you go to the W.C. and fresh up after travel. All buses on this journey come equipped with air conditioning and, of course, television. TV gives you the opportunity to watch old comedies. Maybe the best opportunity for you is to browse the online network or take a short break, in other words - nap. Several of these carriers have a toilet room and is equipped with electrical outlets for charging mobile phones, tablets and other computer equipment. Fans of surfing shouldn't expect too much from free Wi-Fi in the bus. The bus ride between Plitvička jezera and Trogir offers the best ratio for money in terms of speed, comfort and cost. Worth of bus tickets in one direction Plitvička jezera - Trogir ranges from 120 HRK to 133 HRK, or from 16.09 EUR to 17.83 EUR. If you think about the car, you must add a cost of fuel, also if you are going to drive by old route, you will not have to pay the toll, but you'll drive an hour longer compared with a bus. The train ride from Plitvička jezera to Trogir wasting more time, but also more money. Areas where buses pass or stops include: Areas where buses pass or stops include: Zagreb, Karlovac, Slunj, and Korenica. In case you want to get faster from Plitvička jezera to Trogir, try to get a direct line without any stops and if this is unworkable for any reason, choose the fastest line according to time travel. While travel you can boast delightful views of places, fields and cities that you pass. To be clear, we know that you possibly came here for tradition, history and culture and because of that let us tell you that from the center square, you are in a marvelous location for further sightseeing. While visit Plitvička jezera be clear you pass charming environment about the city. Although it is a small township it offers you so much to taste, experience and see and don't waste this unique opportunity just because you're sleepy or tired. Afterwards touring the city, you'll possibly wish something to eat, so we recommend you to ask hosts about the most attractive restaurant or pizzeria or in case you want to save some money we suggest you to search for fast food restaurants or bakeries near the town center. When it comes to the Trogir travelers are charmed with the artistic legacy and all its sights, which has a lot. Plentiful festivals and events attract a lot of domestic and foreign travelers from one day to another. This friendly and beautiful town is a summer home for tons of domestic and foreign tourists, so be sure to schedule your accommodation on time. Okay then, if you want to visit some new places we suggest you consider destinations such as Berlin, Budapest, Ljubljana and Prague. After touring the city and enjoying the nature the time has come to say goodbye to Croatia and go forward.